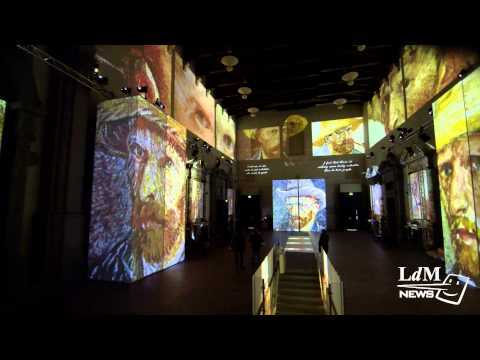 The famous impressionist painter, Vincent Van Gogh, has come alive at the church of Santo Stefono al Ponte in Florence. Upon entering you are surrounded and feel 3,000 works of art. Van Gogh’s works are projected in high definition along the walls of the church. Although this exhibition has traveled the world, it has never been displayed inside of a church. The walls, columns and ceiling of the church are covered in these magnificent works of art. This exhibition covers his work from 1880 to 1890, including his most famous pieces while he had lived in different locations in France. The projection shows the true beauty of Van Gogh’s work, the color and details are illuminated in this exhibit. Not only will you experience his works of art, you will get a feel his inspiration as well darker drama and torment that went on behind he sense. These emotions are brought to life through his letters to his sister during these times. This exhibition remains in Florence until April.